We've all seen this symbol warning us of the danger of a potentially poisonous substance. Today, this symbol has been made famous by pop culture and pirates! It's okay, warn others to stay away and save this little treat for your very own! 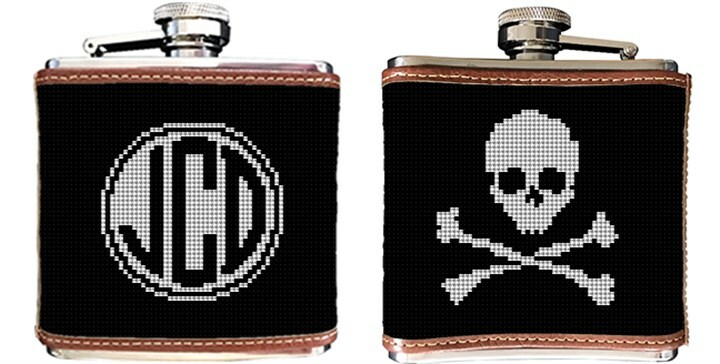 Stitch this flask canvas and create an unusual gift idea, and don't forget to personalize it with a monogram.